Lately, our smartphones all look alike. So tech columnist Goeffrey Fowler hunted in labs, start-ups and China’s thriving phone scene to find what’s next for our favorite gadget. These are all things I’ve seen phones do – some in prototype form, others in models you can get only in China. Analysts in Korea say we might see a folding “Galaxy X” phone from Samsung as soon as next year. When I look into my crystal ball, I’m convinced we’re on the cusp of the most significant changes to the design and functionality of smartphones since they first arrived. The shake-up couldn’t come soon enough. You probably couldn’t live without your phone but feel as excited about it as you do running water. And the water company doesn’t hold an event every year to hype slimmer faucets. From the front, the iPhone 8 is pretty much indistinguishable from the iPhone 6 that came out nearly four years ago. Americans are holding onto old phones longer than ever – 25.8 months, according the most recent research from Kantar Worldpanel. The tech industry has been doubling down on software and artificial-intelligence capabilities, which still hold huge potential. But there’s a lot to be done on improving phone hardware, too, the number one reason most people upgrade. So I went on a hunt for new technologies in China (where phone makers are more creative), among start-ups and at industry conferences where the likes of Samsung and Apple find new components. Of course, it’s hard to predict what ideas will stick and what will end up being a gimmick. I looked for ideas that could make phones simpler to use, easier to carry and better for watching video and doing work. And, of course, I looked for anything that might make batteries last long enough to bring an end to the contact sport of hunting for an airport outlet. Here are ideas that will, at the very least, make your next phone interesting. Or if not your very next phone, then the one after that. Recent breakthroughs let phone makers embed the fingerprint reader inside the screen. Just press your finger over the right area of the screen – indicated by a thumbprint image – and the phone unlocks. Component maker Synaptics figured out how to take a picture of fingers by looking in between the phone’s pixels; Qualcomm created an ultrasonic sensor capable of scanning not only though screens but also metal . . . and even underwater. So far, the tech has made its way into phones from Chinese makers Vivo and Xiaomi. Before you get too excited: The in-screen reader was a bit more finicky than traditional scanners when I tested it on the Vivo X21, one of the first phones to offer it. And, Apple people, don’t hold your breath; this will ever come to a new iPhone. Apple has said it thinks Face ID is the future, and it doesn’t often revert course. The big idea: Phone snaps could soon compete in quality with big-honking-lens cameras. How? By covering the back of the phone with a bunch of small lenses that shoot simultaneously – and then stitch it into one big photo. We’ve already seen a version of this in Apple and Samsung phones with two lenses on the back. The second helps with zoom shots and measuring depth to create photos with artistically blurry backgrounds. The P21 Pro flagship from Huawei is the first to include three lenses: one color, one monochrome (to help with depth and lowlight situations), and one 3x zoom. A camera maker called Light has taken this idea furthest. It showed me concept and working prototype phones with between 5 and 9 lenses – yes, 9 – on the back. 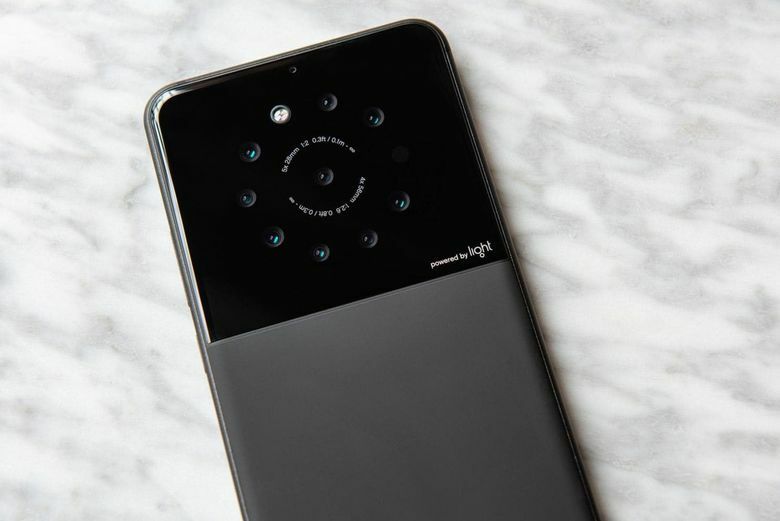 It says its phone design is capable of capturing 64 megapixel shots, better low-light performance and sophisticated depth effects. Before you get too excited: All those lenses – and the processor power required to stitch together all those individual shots – don’t come cheap. A stand-alone camera from Light with 16 lenses costs $1,950. When will I get it: Light, which counts giant phone manufacturer Foxconn as an investor, says a smartphone featuring its multi-lens array will be announced later this year. The big idea: We once had flip phones. Now here come the flip tablets. At a display industry conference in May, the buzz was about prototypes of screens that were flexible enough to roll and flap in the wind. One firm, called BOE, showed a gadget it dubbed a “phoneblet” with a 7.5 inch screen that folded, without seams, into a phone and back again . . . without breaking. Fans of the HBO show “Westworld” might have seen the sci-fi equivalent in the folding tablets characters use to control killer robots. It’s been coming for at least a decade. Samsung showed a wowee folding phone concept video at CES in 2013. The first bendable screens went into curved TVs and phones that round at the edges. We’ve now crossed a threshold where we can make screens that bend repeatedly – and soon we’ll be able to fold screens as sharply as a piece of paper, said Helge Seetzen, the president of the Society for Information Display. How does that work? BOE says it got rid of the traditional color filter and backlight, and replaced rigid glass with plastic. Bending doesn’t break the pixels because each one is so tiny; it’s like how a single human can walk seemingly flat on the earth even though it curves. Before you get too excited: Working prototypes are one thing – producing millions of screens that can reliably fold and unfold is much tougher. Anything with hinges (hidden behind the screen) could be easier to break than our current solid devices. But one silver lining: Moving to plastic could make phones and tablets more shatter-resistant, even if they might be easier to scratch. When will I get it: We’ll see foldable devices in the next year, though the first ones may have seams. Some analysts think Samsung’s folding phone (nicknamed the “Galaxy X”) will start production in November, and will cost $1,850 when it debuts in 2019. Seetzen says screens that fold like paper are five years away. Wait, will any of this fry us? The makers of the tech say no because they’re using such low levels of power. It’s true we’re already surrounded by energy from radio waves and the sun. Energous says it doesn’t expose bodies to more radiation than cellphones, and WiPower automatically cuts out if anything gets between its transmitter and receiver. 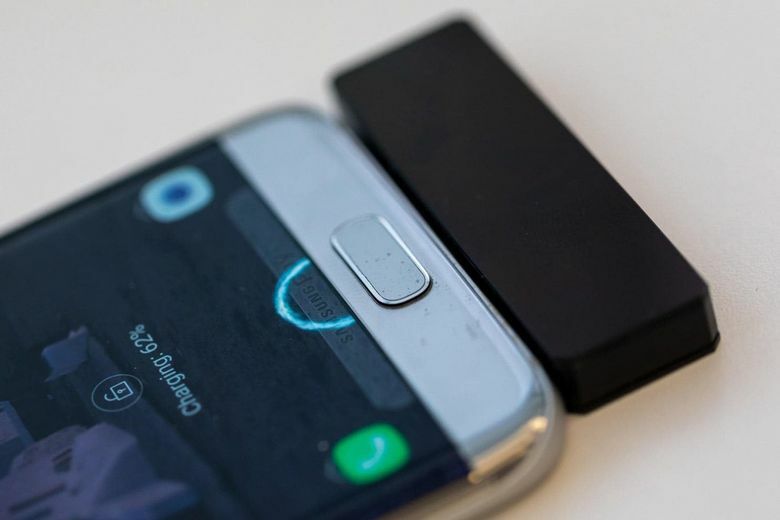 Before you get too excited: None of this wireless charging tech is nearly as fast as plugging in your phone, though arguably that’s less important if your phone charges all day. And companies have been promising this sort of technology for years. They’re finally clearing regulatory hurdles, but now have the double challenge of getting gadget makers to use it – and figuring out how to get transmitters into homes, airports and coffee shops. When will I get it: Energous says hearing aids supporting a first version of its tech (which requires closer contact) are coming in a matter of weeks. It says devices that charge over medium and larger distances are more likely by 2019 or 2020. Wi-Charge says it hopes to sign up gadget makers as soon as next spring. Early AR glasses are already coming out. I tried one from a start-up called DreamWorld that offers a 90 degree field of view and responded to my hand gestures. It weighs only about half a pound, because it plugs into a phone that does the processing and holds the battery. Smart glasses are likely to require nearby phones until the parts shrink enough to let them replace phones entirely. Before you get too excited: Wasn’t Google Glass a flop? Yes. Very few people want to walk around wearing a face computer. And then we have new social norms to figure out, such as: If your glasses are taking a picture of – or looking up information about – a person, how do you let them know? 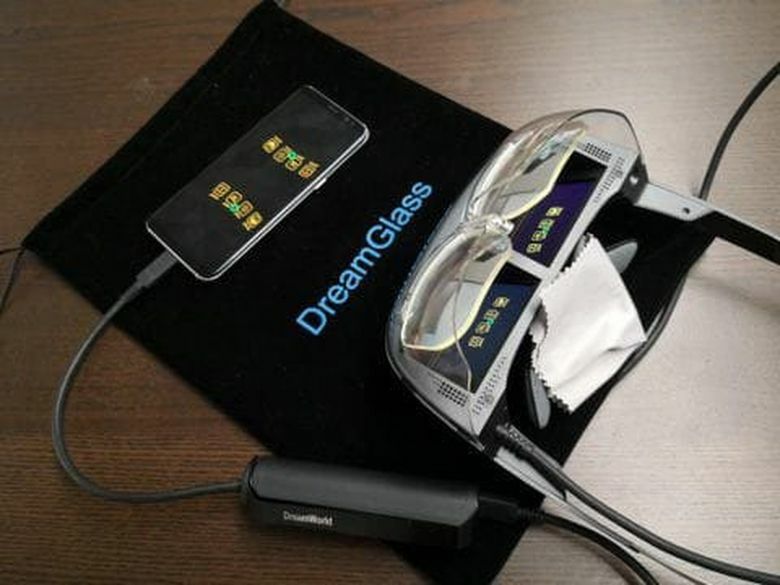 When will I get it: DreamWorlds’ DreamGlass is available now for $400. More consumer-friendly glasses that don’t require wires or heavy gear are at least 5 years out. 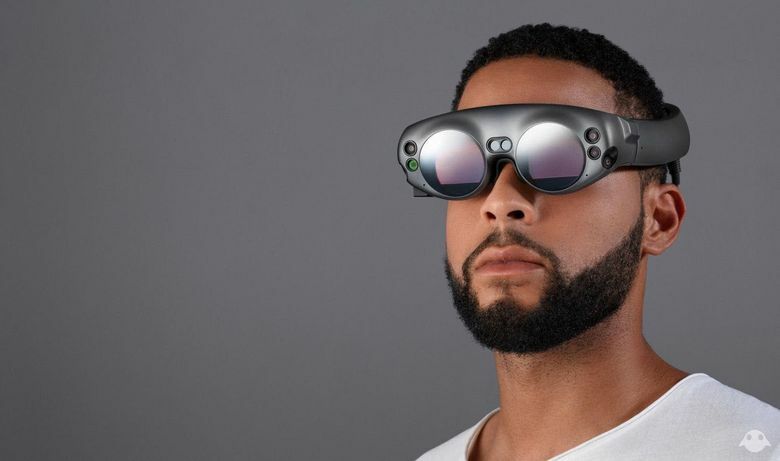 Magic Leap has promised to ship a developer-focused version of its Magic Leap One at some point this year.